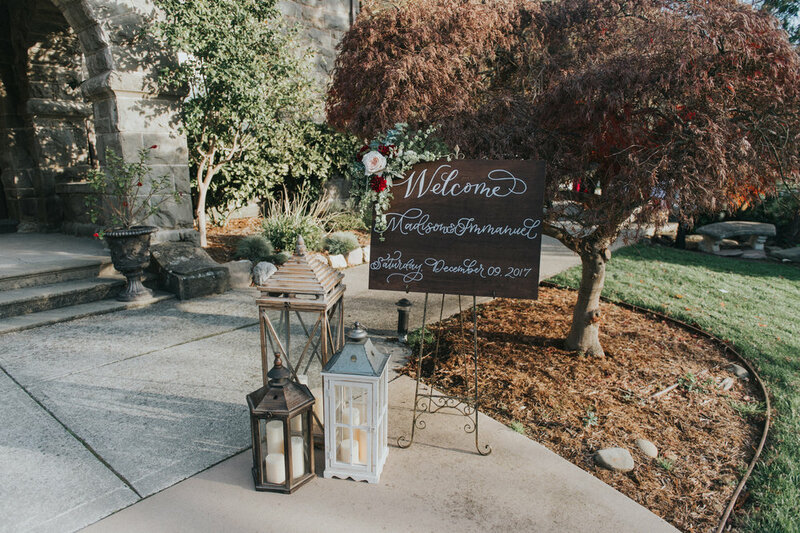 Stunning winter wedding at Elliston Vineyards in Sunol California had a romantic rustic garden vibe. 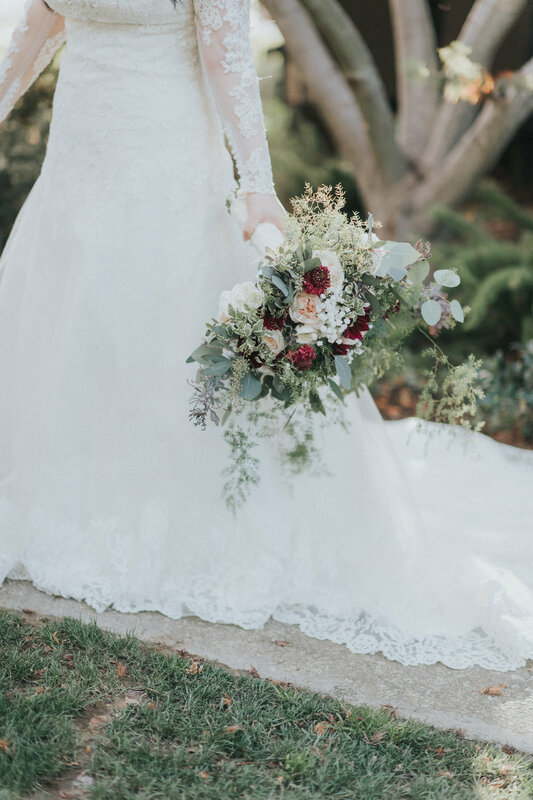 The ceremony and reception were beautifully decorated with dripping greenery, garden roses, and dahlias. The Altar had two large barrel arrangements, cylinders with floating candles and puddles of blush and white rose petals. 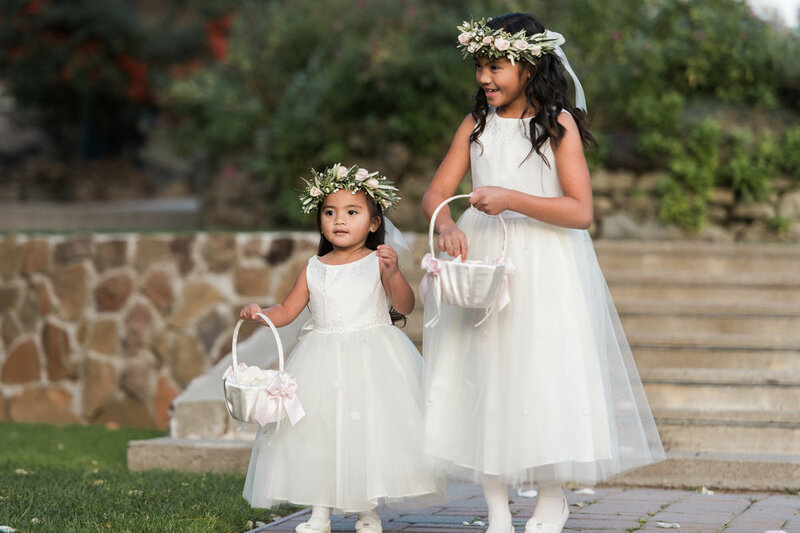 The aisle was lined with hanging jar arrangements and softened with rose petals. 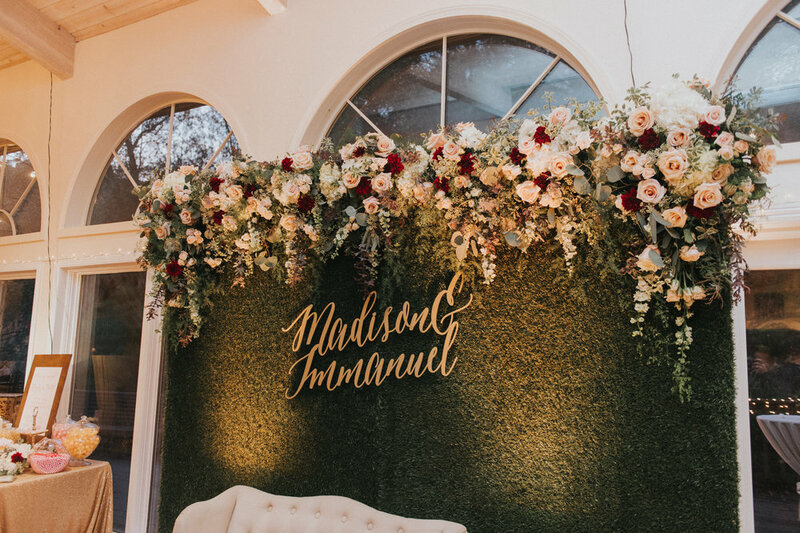 Tall dripping garden styled arrangements on gold stands, golden candelabras by Pleasanton Rentals with low lush arrangements adorned the guest tables. 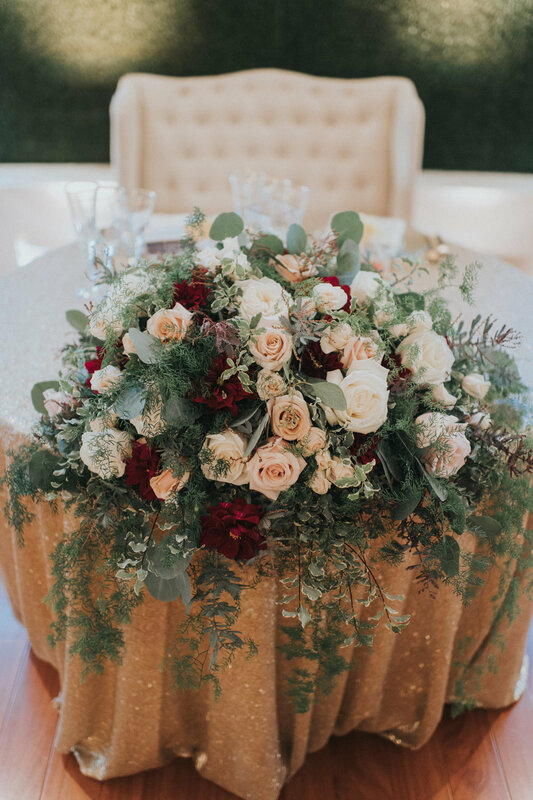 The bride and groom's sweetheart table was enhanced by Fantasy Sound's grass wall that was decorated with lush garden roses, deep burgundy dahlias and dripping greenery as well as a table arrangement spilling over the front of the sweetheart table. 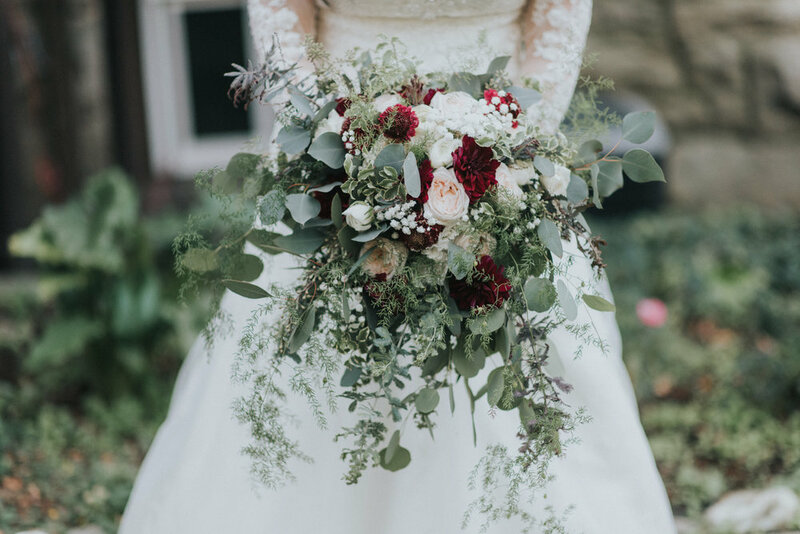 The bride carried a beautiful garden styled bouquet dripping with greenery and filed with garden roses, dahlias, roses, and babies breath. 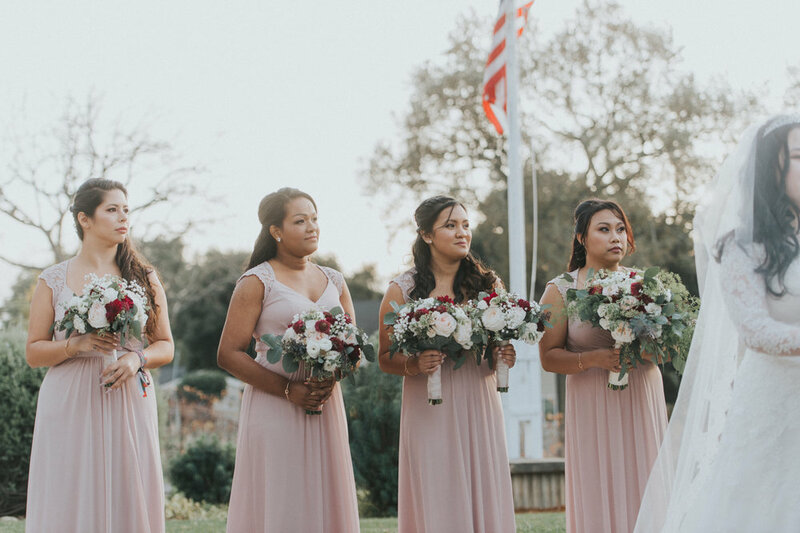 The bridesmaids wore soft dusty beige dresses and carried bouquets matching the brides.